On the heels of its huge success in Asia, Atlantyca Entertainment’s Geronimo Stilton: Kingdom of Fantasy Live is heading to India. The company’s popular live stage show, a Geronimo Stilton brand extension, is taking center stage in Delhi, this summer starting August 3rd to August 5th at the Weightlifting Auditorium, JNL Stadium. https://bit.ly/2LvH3Fi. The Geronimo Stilton: Kingdom of Fantasy musicals are uniquely designed to entertain and delight all-family audiences. The musicals are faithful to the popular books series, The Kingdom of Fantasy books have sold over 14 million copies worldwide to date, part of the 150 million Geronimo Stilton series of books, delivering exciting adventure and humor that children and parents around the world have come to expect from Italy’s most famous mouse-author, Geronimo Stilton. The successful live productions (which are also in several European territories) are based on the “Geronimo Stilton: In “The Kingdom of Fantasy” book series that tells of Geronimo Stilton’s heroic feats with elves, gnomes, imps and witches that help him save Floridiana, the Queen of Fairies! 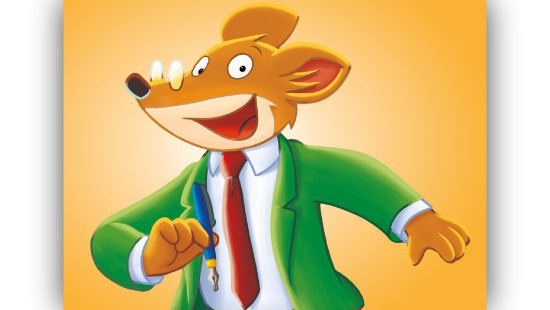 The show is based on the popular Geronimo Stilton: The Kingdom of Fantasy books. Originally produced by the Spanish Focus Grup and Grup 62, Geronimo Stilton: The Kingdom of Fantasy is adapted in English. The Geronimo Stilton books are published in the country by Scholastic with over 4 million copies sold in the English- speaking countries.